Winter weather may cause the County Clerk’s Office to open late or, in rare instances, close for the day. Please check the county homepage for posting of delayed openings or closings due to inclement weather. Renovations to Clerk’s Office Are Complete! The County Clerk welcomes visitors back to Suite 304 in the Cochran House Professional Building. 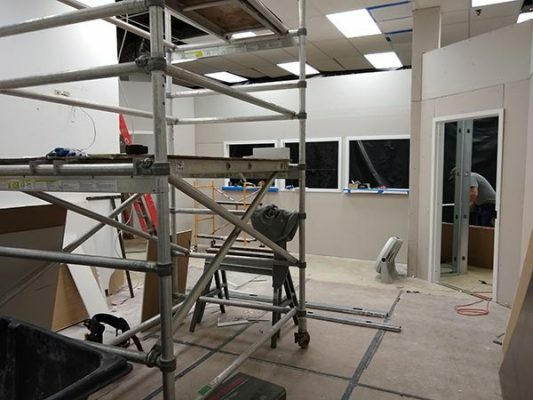 The Clerk’s staff were temporarily relocated while renovations were made to Suite 304, improving the office for staff and customers alike. 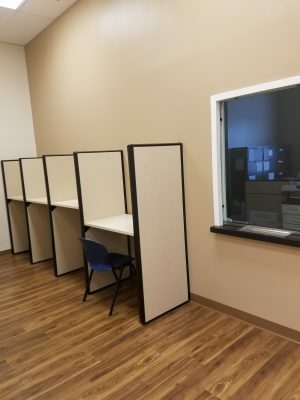 Among the improvements are new privacy stations for in-person voting. Partisan candidates have until 4 p.m. April 1st to file their petitions for elected office and have their names appear on the June 4, 2019 Primary Election ballots. Candidates for county level offices should submit their petitions to their County Clerk, whereas municipal level and party county committee candidates should submit their petitions to their municipal clerk. Click this link for candidate information. Military Family Night Out (MFNO) Program Begins Wednesday, March 6th, 2019! MFNO will be held at St. Francis de Sales Wednesdays, 5:30-7 p.m.
Complimentary dinner is provided each week, guest speakers that specialize in resources and services for military families and an added bonus, $300.00 gift card incentives for families who graduate the program. To register contact Ayla Bower, 973-383-4787 ext 251 or ayla@centerforprevention.org for more information. 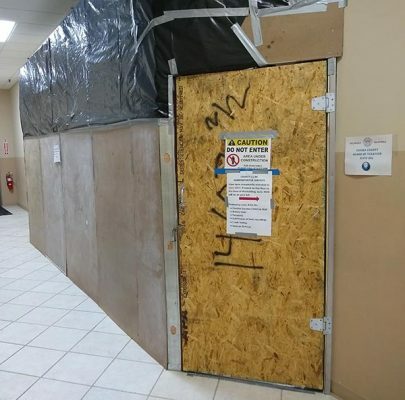 The County Clerk’s administrative office, located at 83 Spring Street, Suite 304 of the Cochran House Building in Newton, has been temporarily relocated down the hall from its usual location to Suite 302A. Visitors should follow the signs to Suite 302A, which is located in the front of the Cochran House Building, facing Spring Street. Suite 302A will be used until renovation of Suite 304 is complete, which we hope will be the first week in March. During this renovation period, please understand that some services may be temporarily interrupted. Call 973-579-0900 for more information. NOTE: The Clerk’s Records Room is unaffected by the renovation; it remains in Suite 204 of the Cochran House Building. It’s cold. Maybe you’re ready to send the Polar Vortex packing and get yourself packing, too — for an early Spring getaway! Keep in mind, if your destination takes you to some tropical paradise outside the U.S., you’ll want to make sure your passport is valid. If you don’t yet have a passport, don’t worry – we can help you get one! Your Sussex County Clerk’s Office is an authorized passport acceptance facility. Whether you’re a first-time applicant, or you find you’re ineligible to renew your old passport by mail, County Clerk staff will review your paperwork to ensure your application and supporting documentation are in order. Check the validity of your passport (and those of family members traveling with you) as soon as you think about traveling. Knowing you are prepared in advance is the best first step toward a relaxing travel experience. Keep in mind that the routine processing time for a passport is four to six weeks, but during peak travel season (early spring through mid-summer) that timeframe easily extends the full six weeks. You can pay an additional fee to expedite your application if necessary and reduce that time to three weeks – but again, the best defense is to apply early and avoid worry and rush fees. Once you’ve taken steps to ensure you and your family have valid passports for travel, visit www.travel.state.gov to learn about steps you can take before traveling to ensure a safe and healthy trip and improve your overall experience abroad. If your travel plans fall on or around a scheduled Election Day, consider applying for a Vote By Mail Ballot Application before you leave. Call the County Clerk’s Election Division with questions about early voting by mail (973-579-0900, ext. 1507). For more information about passports visit https://sussexcountyclerk.org/passports/ or call the Clerk’s Office at 973-579-0900. Has my voted ballot been received yet? NOTE: Your Voter Id# is listed on both the outer mailing envelope that your ballot came in, and on the inner envelope used to return your voted ballot to the Board of Elections. Once you’ve successfully created an account, you’ll be prompted to log in. To check your mail-in ballot status, scroll down to the bottom of your screen and click “Mail-In Ballot History”; the current election will be listed first. Look at the column labeled “Ballot Received Date” to see if/when your ballot was received by the County Board of Elections. Access to your online account will be available to you year-round for all upcoming elections. If you’ve chosen to vote-by-mail in all future elections, it would be a great idea to set up an account for continued access to your voting records. NOTE: If you were unsuccessful in creating an account online, you’ll need to contact the Sussex County Board of Elections to check your Voter ID. The October 10, 2018 deadline for New Jersey to comply with the Real ID Act has been extended again — this time until October 10, 2019. According to the Department of Homeland Security (DHS), New Jersey has been granted another extension for REAL ID enforcement, allowing Federal agencies to accept driver licenses and identification cards from New Jersey at Federal facilities, nuclear power plants and federally regulated commercial aircraft until October 10, 2019. After October 10, 2019 NJ citizens will need more than their state-issued driver license to board domestic flights. “Our office and county clerks’ offices throughout New Jersey have been inundated with emails, personal visits, and phone calls from voters concerned about recent mailings by political action organizations. “County clerks received word last month that a democracy project would be sending out mailings to New Jersey voters to encourage voter participation by mail. “These mailings are not from your county clerk, they are being sent by the Voter Participation Center and The Center for Voter Information – both of Trenton, as well as from various candidate campaigns. The mailings contain a personalized mail-in ballot application pre-filled with the voter’s name and address in the hope that the voter will sign the application and return it in the postage-paid envelope addressed to the County Clerk for processing a mail-in ballot to the voter. “This type of marketing effort is not new; both major political parties have been doing so for years. The data come from the Statewide Voter Registration System under the direction of the New Jersey Division of Elections in the Department of State. “There is no prohibition under the law for providing voter data to marketers who use it for political purposes. If you complete the application, sign it and return it in the postage-paid envelope, the County Clerk will check your signature against the signature from your voter registration file and approve or disapprove the application. If approved, a mail-in ballot will be mailed to you at the address indicated. If disapproved an explanatory letter will be mailed. Please note in Box 1 the voter may select the option of receiving a Mail-In Ballot for (a) ALL FUTURE ELECTIONS or (b) for ONLY ONE election. If no box is checked our office will send approved voters a mail-in ballot for the Nov. 6 election only. If you want to continue to vote on the voting machine on election day DO NOT sign the pre-filled Application for a Mail-in Ballot and DO NOT send it to the County Clerk. Active voters who have an approved mail-in ballot application on file from the 2016 General (Presidential) Election will be sent a mail-In ballot for ALL FUTURE ELECTIONS unless they OPT OUT in writing to the County Clerk. This is mandated by P.L. 2018 c. 72. 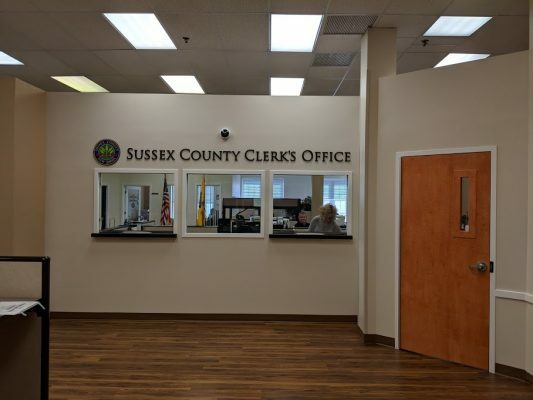 The roughly 4,200 Sussex County voters affected by this mandate have been notified by letter from the County Clerk to inform them of their options. Voters who receive a mail-in ballot should vote that ballot and return it as soon as possible to the Board of Elections. The new law allows that every mail-in ballot bearing a postmark dated on or before Election Day and is received by the Board of Elections within 48 hours of the closing of the polls shall be considered valid and counted. Voters who were sent a mail-in ballot MAY NOT vote on the voting machine on Election Day. If they go to their polling place they will be given a provisional ballot, which is the same as the paper ballot they were mailed; as a matter of convenience and to avoid delays at the polls, these voters should vote the ballot they were mailed. Sample ballots will be delivered by Nov. 2. All active voters will receive a sample ballot in the mail during the week before the election. The sample ballot will show all the races, candidates, and questions for which the voter may cast a ballot in this election and will list the voter’s polling location and hours. Samples of the mail-in ballots are posted to the County Clerk’s website for viewing. “The approaching Nov. 6 General Election is a supercharged mid-term federal election for Congress that, together with a rush by our governor in August to mandate significant changes to the mail-in ballot law, the frenzy of events taking place in Washington, and the use of technology to gain personal data to reach people has heightened voter awareness statewide. “I can assure you that the County Clerk’s Office and the Board of Elections are ready to meet the challenges of this election. We are diligent in our processes and are carefully observing the laws and procedures to prevent voter fraud. For more information utilize our website www.sussexcountyclerk.org or call 973-579-0900, ext. 1507.